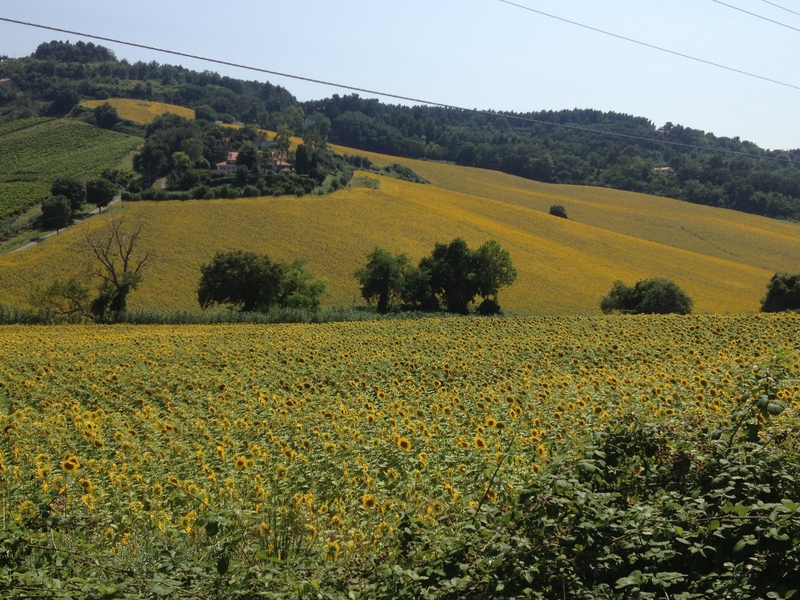 I watched the Italian countryside whizz past me as the train carried me away from Rome. Eventually the train tracks became parallel with the seaside, and I gazed out into the distance over the Mediterranean. In one short trip I was going from coast to coast in Italy, from the capital city of Rome to the tiny port town of Ancona. “Ancona?” Valerio had asked me with a very confused expression, when I had informed him of my next destination. “Nobody… I mean nobody, goes to Ancona. Pass through maybe, but… well, there’s nothing there!” Ancona was a regular port for ferries that routinly carried passengers from the east coast of Italy to Croatia and Greece. It hadn’t exactly been on my high priority list of places to see, but while I had been searching desperately for a place to stay in Rome via Couchsurfing, I had received a message from Ike. The interesting thing about Couchsurfing is that you can send requests to potential hosts, but you can also publicly post your travel itinerary so that hosts in areas where you are planning to travel are able to find you and invite you to stay with them. The majority of people who I have spoken to about this assured me that that was way too creepy for them, and that they wouldn’t just accept offers from random people they didn’t know, but my journey so far had showed me that taking a chance on the generosity of strangers can sometimes have the most rewarding results. I had been looking for other places to stay in while travelling Italy, but so far all my other searches had been unsuccessful. Meanwhile, Ike had sent me a message saying he had noticed I was travelling through Europe, and that if I ever made it to Ancona he would be happy to host me. We had stayed in correspondence during my frantic search for hosts in Rome and my breakdown in Madrid, and from what I could gather he seemed to be a nice and rather genuine guy. So when I arrived in Rome and had to make plans for my next upcoming destination, I agreed to visit Ike in his sunny little corner of Italy. Four days later, and I was stepping off the train into the blistering afternoon sun, where he was waiting to pick me up. Ike was a fun and outgoing guy with a cheeky sense of humour, and just like when I had met Stefan – who had also stayed with Ike – we got on well straight away. I knew I had made the right decision in coming here – better to spend a couple of days in a town you’d never heard of with a fun stranger than wander around a well known city by yourself. I’d done plenty of that in Rome, so during my time in Ancona I was determined to do absolutely no sightseeing. I needed a break from all that. When we got back to his place, Ike showed me a map of the area and a bunch of information pamphlets about things to see and do. “There’s a short historical walk through the main centre,” he said, pointing at the map to a spot in the centre of town – Ike lived a little further up one of the many rolling hills that surrounded the port, about a 10 minute drive from the train station. “Stefan was very into that kind of thing, but I’m not sure what you want to do while you’re here.” I told Ike that I would be happy to find a spot on the beach and just chill out, so he gave me a few options for the nearby beaches that I could try, most of which were pretty easily accessible by bus. “I’d love to come with you if I had the time, but unfortunately I’ve got to work.” Ike even had to go back to work that afternoon, so he left me at his place to do some laundry and get some rest. When he got home, Ike cooked dinner and we had a night of great conversation over a bottle of wine. 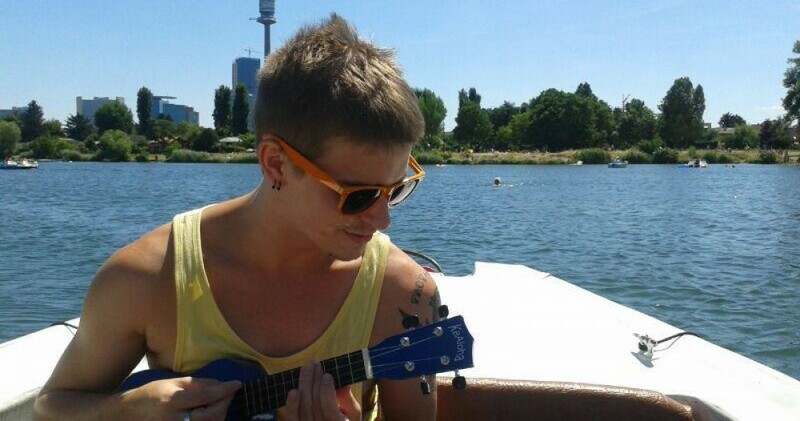 We talked about travelling, our Couchsurfing experiences, and he even taught me a couple of phrases in Italian. 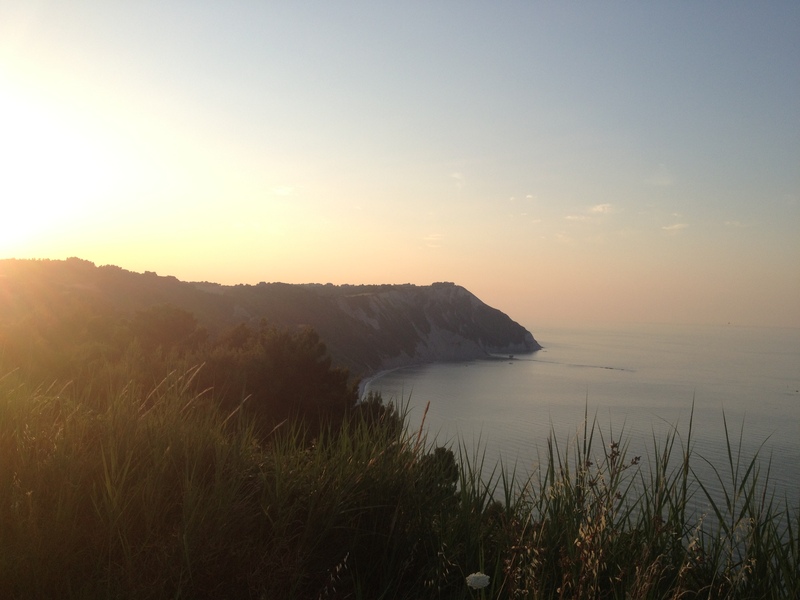 It was a fun and carefree evening, and I was already very pleased with my decision to stop by Ancona and take some time out in this Italian hideaway. 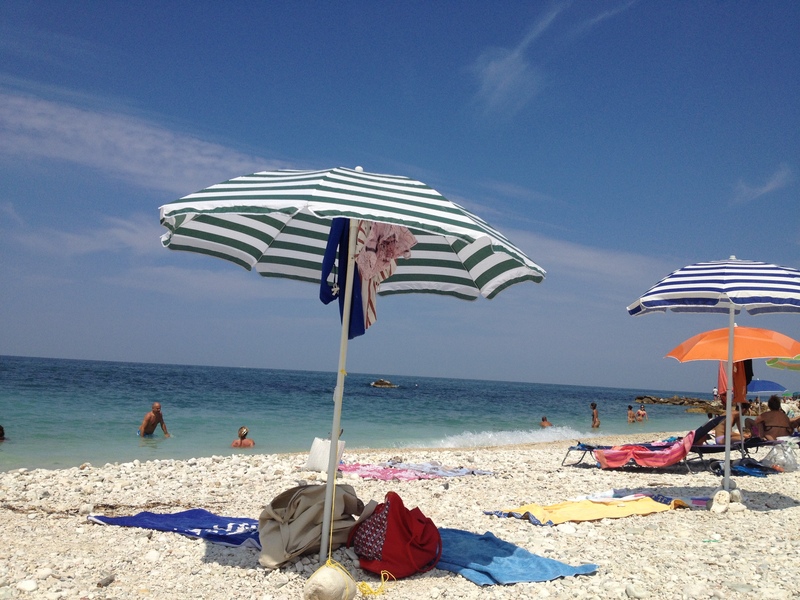 The next day Ike had to go to work again, so after a bit of a sleep in and a lazy morning, I caught a bus down the hill to the city centre and then transferred to another bus that would take me to the nearby beach of Portonovo. The bus was crowded with lots children and teenagers, and it was only then that I realised it was the height of summer and that school was probably out, and everyone in town would be heading for the beach. 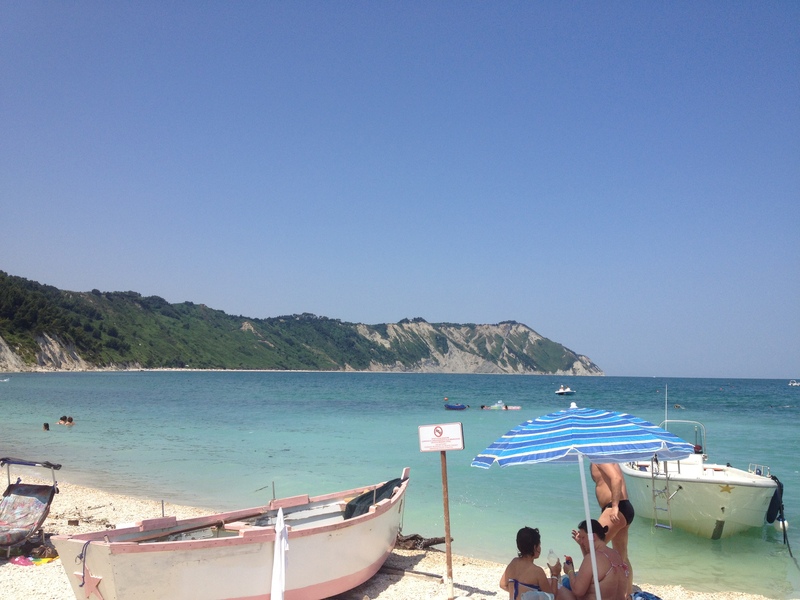 It also took a little longer to get there than I had anticipated – I was on the bus for over half an hour, going up and down the twisting and winding hills of the outskirts of Ancona before we finally arrived at Portonovo. I wandered through some of the shrubbery around the bus stop and down through a small woodland area before emerging onto the beach. The area had a handful of restaurants and other overpriced-looking places where you could hire beach chairs, but I bypassed all that and went straight to the waters edge. There, I faced a problem that I hadn’t really faced since I’d been in Thailand – I was alone on a beach with a backpack containing valuables such as my phone and wallet, and I had no way of properly securing them. Even if I was to put a lock on my bag, there was nothing stoping someone from simply running away with it. The beach was fairly crowded, but not so much that I wouldn’t be able to see my things if I left them in plain sight from the water, and it was too hot to not go swimming. In the end I just had to take a chance and leave my backpack while I went into the water. I never swam too far from where I’d left it, but I was a little more relaxed than I had been on the beach at Ao Nang. And it was worth it – with the hot sun beating down on the crowds of beach goers, the cool blue water felt absolutely amazing to dive into. When I’d had enough of that, I crawled back onto the beach, lathered myself in sunscreen, and laid down to soak up some rays. I think it was something I’d first noticed lying in the park in Christiana during my time in Copenhagen, but the sun in Europe just doesn’t seem to be as strong as it does down in Australia. Obviously Italy has a lot stronger sunshine than Denmark – Ike told me he regularly uses 50+ SPF sunscreen – but compared to the sun in Australia it felt like a casual warm day. I was very conscious of my sunscreen use though, which allowed me to relax enough to actually doze off into a state of semi-sleep more than a couple of times. It was the perfect temperature, and I stayed there on the beach for as long as I dared before I thought there really was a chance of me getting significantly burnt. The refreshing blue waters of Portonovo Beach. Lots of people set up camp for a day on the beach in the gorgeous sunshine. I took one final dip in the ocean before heading back to the bus stop, and indulging in some amazing Italian gelato while I waited for the bus. When the bus finally arrived, slowly making its way down the hill from the highway, I hopped on board, thinking it would take me back to the centre of Ancona. I was surprised to find that its final stop was simply at the top of the hill. “Last stop – everyone off,” the bus driver called out to me. It was definitely up there in my travel nightmare scenarios – being forced off the bus but having absolutely no idea where I was or how I was going to get back. However, when I hopped off the bus I was momentarily distracted by the field of sunflowers that spread out in front of me in the paddock beside the road. I took the opportunity to take a few photos, and just sit back and marvel at the Italian countryside and the picture perfect landscape I had laid my eyes on. The sunflower fields just next to the bus stop by the beach. But then it was back to panicking. Another bus with the right number came along, so I hopped on. It took me… back down to the beach. What the Hell was going on? I decided to swallow my pride, realising I needed help, and approached the bus driver, crossing my fingers and praying he spoke some English. I explained where I wanted to go, and he knew enough to understand and give me a reply: “Ahh – next bus!” I sighed, knowing it was about as much help as I was going to get, and stepped off the bus. It wasn’t too long before the next bus came trundling down the hill, and when it finally did I was relieved to feel it make the turn onto the main road that led back to Ancona. I had given up trying to understand how public transport timetables – or indeed, any kind of timed service – operated in Italy. I’m not one for generalising stereotypes, but I can honestly say that chronic lateness was something that I experienced in pretty much all public services in Italy. Countries like Italy and Spain are currently suffering from unbelievably high levels of youth unemployment, but I can’t help but wonder if the people who were actually employed were doing any more work than the people who weren’t. That evening was my second and final night staying in Ancona, so when Ike got back from work we decided to go for a little drive to see some of the other parts around the area that I hadn’t been able to see by myself. We headed south down the coast, admiring the countryside in the dying daylight. 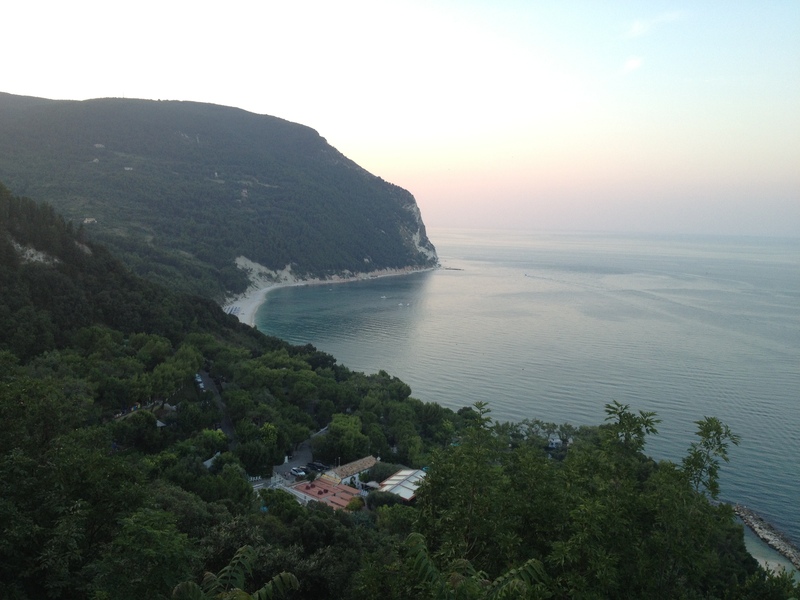 At the small town of Sirolo, we stopped the car and got out to watch the sunset behind one of the cliffs. It was nice to be outside of the huge cities for a change, and to experience some very natural beauty such as this. I took a few photos before we continued on to the next small town of Numana. There we got out and walked around the town. It was a little more tourist-orientated than the centre port of Ancona had been, and the streets were quite well preserved in an older, historical style, with uneven tiling and cobblestones lining the streets. We walked down to the docks and looked out over the water as twilight settled in. It wasn’t quite as prominent as the white nights in St Petersburg, but even in southern Europe it still took a very long time for nighttime to actually become dark – often there was still a lot of natural light and visibility as late as 10pm. It was a strange phenomenon that I was only now getting used to. Overlooking the beach at Sirolo at sunset. 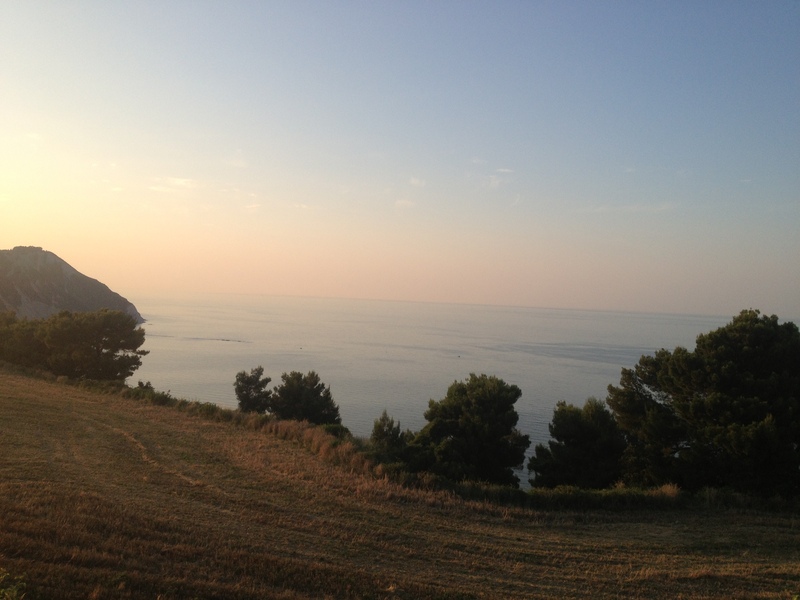 The ocean view from our vantage point near Sirolo. Overlooking the town of Numana. 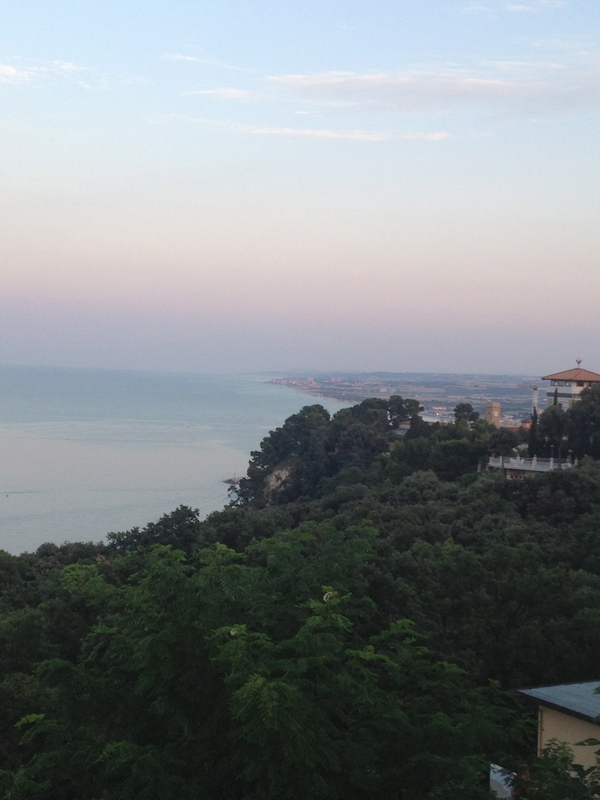 Ocean views as dusk settles over the province of Ancona. After wandering through the old, steep streets, we headed back to the car and went home. I didn’t ask, but in a small town like Ancona I assumed that there wasn’t much of a nightlife scene, gay or otherwise. Even if there was, I don’t think I would have bothered going. My time in Ancona had been all about relaxing and taking the down time that I had been unable to take in the past couple of weeks. I helped Ike make some dinner and we had some more wine before retiring to bed. He was leaving for a work trip the following day, and I had several trains to catch. But I’d had a fun and memorable few days with Ike in Ancona. He’d told me that it was often just a passing through town for so many people, and that people rarely discovered the little gems of beauty it contained. At that moment, I was eternally grateful that I’d decided to travel the way I was travelling: solo, using Couchsurfing, and meeting all kinds of interesting locals along the way. It assured me that not only was I having an amazing once in a lifetime trip, but that I was seeing parts of the world that many other travels might breeze over without a second glance.